Growing at Wadi Dowkah Natural Park, Dhofar, Oman. 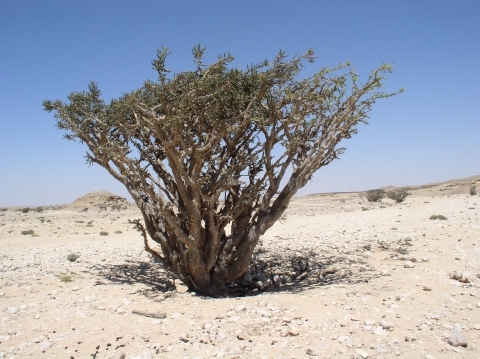 Frankincense is a small evergreen tree growing up to 8 metres tall, though usually smaller. Northeastern Tropical Africa - Somalia to Yemen and Oman.